Hacker Slacker is a tech news podcast by two college students, Jacob Peddicord and Andre Garivay. We talk about news, productivity, and interview interesting people. 43: What the Heck is TikTok? 30: Exciting Hacker Slacker News! In this episode, we talk about Google's 2018 Made by Google event and all the new announcements that came from it. This week we talk about the topic of one of the talks Andre went to at Tech Crunch​ Disrupt. A conversation about Apple's fall event where they unveiled a new watch and three new​ iPhones. Apple's event is tomorrow and I give you my predictions. Andres thoughts on the COE of Uber’s talk at TechCrunch Disrupt. First day of special coverage at TechCrunch Disrupt. The most important post from today was about Netflix removing reviews from their platform. Top Story Netflix Has Deleted Every User Review Ever Posted to Its Website Recommended Reads 1. Ask HN: How did you find your current job? https://news.ycombinator.com/item?id=17791766 2. Ask HN: Those making $500+/month on side projects in 2018 – Show and tell https://news.ycombinator.com/item?id=17790306 3. The 1970s calculator race https://news.ycombinator.com/item?id=17791985 A Twitter​ thread that is way cooler then it sounds. Today's episode covers an explainer on service workers, one of the keys to a new paradigm of web development, progressive web applications. Main Story https://news.ycombinator.com/item?id=17773828 Recommended Reads 1. How to Write Unmaintainable Code (2017) https://news.ycombinator.com/item?id=17781475 A sarcastic aproach to explaining good coding practice, worth a look no matter your skill level. 2. Show HN: Map of Related Books for “Designing Data Intensive Apps” https://news.ycombinator.com/item?id=17784308 If you're into data visualization this is data viz of data design. 3. Two French rivers disappear underground in cracks and sinkholes https://news.ycombinator.com/item?id=17782892 Crazy sinkhole issue in France that drained a river disrupting the local ecosystem. In the first episode of HS I cover a Twitter mode found by a Hacker News user that might be interesting to Elon Musk. Shownotes: Main Story Twitter's Secret "Guest Mode" https://news.ycombinator.com/item?id=17773771 Recommended Reads 1. 24-core CPU and I can’t type an email https://news.ycombinator.com/item?id=17780127 An interesting read about an engineer fixing a problem for Gmail in Chrome. 2. 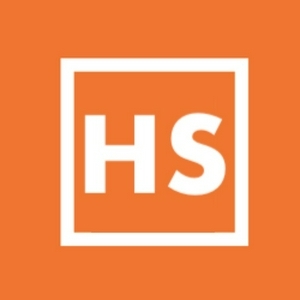 The Hacker News Habit https://news.ycombinator.com/item?id=17777467 If you're listening to this podcast, the story and discussion probably apply to you. 3. Elon Musk Confronts a Fateful Tweet and an ‘Excruciating’ Year https://news.ycombinator.com/item?id=17780092 A New York Times article about Musk and the crazy year he's having.